You have heard or been told a lot of skincare tips over the years. Skincare is important to us. So, our in house expert is busting some common skincare myths and revealing the truth behind them. Truth – There are many different types of lasers being marketed and they all do different things. Some help with sun spots, some help with wrinkles.Some go deep and activate collagen. It’s all marketed so much that people think it can make you a completely different person! You can usually get something similar for a lot less. Myth 3 – Its better to get the pus out of a pimple by popping it. Truth – The truth is even though it feels really good to release the pus, a lot of it goes in deeper. It causes more inflammation that can lead to scarring and spread under the skin. That’s why you will get another one a few days later close to the first one. Its crucial that you do not pick your face. But if you absolutely cannot resist, be sure to do to right. Don’t squeeze and pop the pimple. Instead use a comedone extractor- an inexpensive tool you can purchase at most beauty supply stores. Apply firm pressure with the extractor and then roll it across the pimple to take it out. Myth 4 – The higher the SPF in a suncreen, the better the protection. Truth – There are 3 kinds of UV rays – UVA UVB and UVC. UVA penetreates the skin fairly deeply and intereferes with your pigmentation to produce a tan. UVB are primarily sunburn rays. UVC are absorbed by the atmosphere and don’t make it to the ground. The SPF on a sunsreen refers to the amount of protection the product offers against UVB rays. Many sunscreen therefore need to offer protection from both UVA and UVB. Always look for a SPF of atleast 15! Or broad spectrum suncreens that offer protection against both UVA & UVB. Myth 5 – You do not need sunscreen on a cloudy day or when your wearing makeup with an SPF. Truth – Even on a cloudy day, UV radiation from the sun reaches the earth’s surface. so make sure you use sunscreen everyday and reapply it every 3-4 hours as well as after swimming and heavy sweating. Also, don’t fall prey to the myth that your are protected just because you are wearing makeup with SPF. You would have to put on 14 t 15 times the amount of makeup that a normal person would wear to reach the SPF on the label of the makeup. Make sure you use sunscreen in addition to your makeup. Our in house expert is happy to answer any other question you may have on skin care. You can sent your queries here. Stay tuned for more skin care and hair care myth’s being busted in our blogs. Categories: Beauty, Did You Know?, Natural Mantra, Organic Living | Tags: #In House expert, #Myth Busted, #SkinCare, beauty, natural, Natural Mantra | Permalink. We were first told coconut oil’s saturated fat caused heart disease. Now we’re told coconut oil promotes weight loss. So what does coconut oil do? Coconut oil is high in natural saturated fats. Saturated fats help in increasing the healthy cholesterol (known as HDL) in your body, also help to convert the LDL “bad” cholesterol into good cholesterols. Increasing the HDL’s in the body, helps to promote heart health, and lower the risk of heart disease. Each tablespoon of coconut oil provides 130 calories, this increase in metabolism can easily be offset if large amounts are consumed. Have you envied the long jet black hair of your South Indian friends, the secret : “Coconut Oil” ofcourse. Coconut oil benefits include skin care, hair care, weight loss, improving digestion and immunity. Skin Care: Coconut oil helps in preventing degenerative diseases like premature aging due to its well-known antioxidant properties. It also helps in treating various skin problems, including psoriasis, dermatitis, eczema and other skin infections. Hair Care: Coconut Oil helps in healthy growth of hair and gives your hair a shiny quality. It is also highly effective in reducing protein loss. Weight Loss: Coconut oil helps to reduce abdominal obesity in women. It is also easy to digest and it helps in healthy functioning of the thyroid and endocrine system. Immunity: Coconut oil helps to strengthens the immune system because it contains antimicrobial lipids, lauric acid, capric acid and caprylic acid, which have antifungal, antibacterial and antiviral properties. Facial Highlighter: A tiny amount on your fingertip spread on top of your cheekbones after you’ve applied makeup, works to highlight and add an extra glow. Massage Oil: The oil absorbs quickly, but not ultra fast, which means it keeps your hands slick when you’re giving a back massage. Did we mention that coconut oil smells amazing? Like a beach vacation? Because it does. Body Balm: Mix coconut oil with Shea butter to treat yourself to your own massage that keeps your skin soft and smooth long after the rub is over. Body Scrub: Add a little sugar to the oil and you’ve got an awesome, all natural, exfoliating and moisturizing scrub that rivals a spa experience. Hand Moisturizer: You might not want to do this on-the-go. But at home, when you can wait for it to sink in, it works to keep your hands soft. Lip Balm: Just a small amount applied to lips keeps them soft and kissable. Cuticle Cream: Keep fungus and bacteria at bay, while also softening your cuticles, by rubbing it into them during manis and pedis. Makeup Remover: This works fast, but be careful not to let it get to your eye. Just a bit on a cotton pad does the trick. Facial Moisturizer: This works best for normal skin types. If you’re not sure, try applying a thin layer of oil to your face, massaging it in and then rinsing it off with your cleanser. Vedic Delite Organic Coconut Oil is rich in fatty acids, particularly Lauric Acid. A must have in every home! This oil is multi-purpose and can be used on skin as well as hair. Cold Pressed Organic Coconut Oil is good not only for the hair and skin, but maintains cholesterol levels, aids weight loss, increases immunity. For this recipe, simply pour honey and coconut oil into a pan and heat it on a stove until it’s melted. Allow the mixture to be cool to the touch and then apply it on dry hair, split ends and scalp. Massage with your fingers and leave it on for about 20 minutes before washing it out. Categories: #HairCare, Beauty, Did You Know?, Natural Mantra | Tags: #cancer fighting, #HairCare, #Immunity, #SkinCare, beauty, natural, Natural Mantra, weight-loss | Permalink. Mothers are the human beings that should be celebrated every day. It so happens that we forget the magnificent achievements of mothers in our daily routine. Her contribution to our lives cannot be rewarded in any other way than our love. If a small token of affection is added to this, it will make Mother’s Day that much special. It is a tradition that is almost 108 years old and is meant for the woman who is a caregiver, a teacher, a manager; only the few duties that she performs on the go while making sure that her children have the best. While one day is not enough to appreciate such an important person, however Mother’s Day gives us this special chance to pamper her to the fullest. Just A beautiful mother’s day card with a heartfelt message can win her heart, as they say but this year we recommend you to walk that extra mile to embrace her, lover her more and more! Make this day exceptional by adding one of the many small gifts mentioned below, coupled with a special Mother’s Day message. Candles signify more than just home decor accessories. They dispel darkness and bring light and growth into our lives. A mother is no less than a candle, and these aromatic organic candles will certainly be the perfect gift for her. This assorted pack of 4 candles with no harmful toxin emissions can be lighted in any corner of the room to brighten up the area. Additionally, the scent of essential oils like cinnamon with a hint of orange, jasmine, vanilla cream, and lemongrass will relax every stressed mother from the inside. It is not just the children who deserve to be pampered with chocolates, but mothers do too. Though in the latter’s case, it is the taste and health that have to be kept in mind as she did for all our meals. Maduban Natural’s premium dark chocolates are rich with pomegranate fruit extract, fruit bits and nuts, which form a tasty as well as healthy snack for every mom-on-the-go. Its health contributions like ant ageing properties and iron content will make it a thoughtful and essential gift. It is an everyday task to be a mother with no time to relax. For such frantic moments, aromatherapy works like magic to ease out all the stress. This product containing various aromatherapy massage oils captures all the charm in one box to make sure that stress disappears in a jiffy. Massaging or inhaling these oils work just perfect for the tired out moms. The blended oils relax the nervous system and further helps to calm the mind that is always running high gear. It gets them rejuvenated with gorgeous skin and a peaceful night sleep enjoying the most relaxing oil therapy. A mother’s day should always begin with a soothing combination of love and care. These handmade natural bath gift sets, each comprising of natural soaps, organic shampoo and lotion will provide with the same. The vanilla coffee loofah is a unique soap that will scrub away the dead cells revealing a supple skin for summers especially. The embedded loofah slowly removes all non-essentials away. The soothing Ylang Ylang soap is loaded with calming notes that can chase away every wandering thought. The Rose Honey Face and Body wash keeps the skin smelling with the freshness of roses while the Almond Saffron Body Lotion helps to make the skin glow. She has groomed us to be the beautiful little souls that we are, so why not indulge her with this hamper of hair care. It is a pack of massage oils with each one having their own unique caring properties formulated specially for a mother’s hair. The refreshing lavender massage oil will help promoting healthy hair, which is thick from the roots. Soulflower cold pressed jojoba carrier oil will help control any frizz while the rosemary essential oil will help distress the mind, reduce exhaustion and lethargy. Together, this hamper will provide your mother the care as well as the compliments she always deserved. Finally, it is time the backbone of the family had her pack of strength. Everyday stress takes away a lot of calcium from the system and as women age the body has problems retaining this element naturally. The supplements provide women with the essential calcium, and the bones absorb its CAL-VITA complex easily, which eliminates degenerative diseases like Osteoporosis. As motherhood is a job with no holidays it is essential that we take extra care of this genius member of our family and make sure she is as healthy as she can be. After all, a healthy mother is what makes a healthy family. Categories: #HairCare, Beauty, Beauty DIY, Buy Online, Celebrate, Detox, Eco Living, Face Wash, Gift Hamper, Green DIY, Health, Natural Mantra, Natural Shampoo, Personal Care, Products, Spa, Sustainable Living | Tags: #AromaCandles, beauty, eco-friendly, environment, essential oil, gift card, hair, indulge, Mother's Day, Natural Mantra, Organic, rejuvenate, skin, Spa, Stress | Permalink. Celebrate Womanhood, the Natural Way!! Women of the 21st century are independent, liberated and progressive than women from the previous era. They have been redefining gender roles and claiming more power to themselves in various walks of life. Women are proving that they could be leaders in all aspects, thereby demonstrating their potentials to the fullest. Although, what most of them have been missing in all this progress is a little care towards themselves and their own body. Between hectic work schedules and taking care of yourself, you probably already have plenty of reasons to pamper yourself and unwind. So today on International Women’s Day, we are going to discuss 7 easy yet blissful ways to make you feel spoiled, overindulged and treated. Reflexology is an ancient alternative therapy believed to help you heal your body and your mind. The underlying methodology is that each area of your foot relates to a specific body part and by massaging your feet, you can positively impact the rest of your body. During the massage, you’ll be able to feel any cricks or burs under the skin. These are the areas you should focus on to improve your health. And at the very least, a good foot massage will leave you with a pampered smile, because it just plain feels awesome. If you follow a hectic schedule day in and day out, probably you don’t get enough time to relax in the bath. Nothing can beat a long hot bath when it comes to relieving stress. It can also boost your mood, induce sleep, and relax your achy muscles. Bathing with essential oils is one of the most relaxing ways to attend to your ablutions, and is great for your skin. It is advisable to include a combination of deep cleansing and moisturiseration ration of the skin coupled with massage and heat. Body treatments and scrubs as well as facials rid the skin of impurities by incorporating cleansers, scrubs, and steam to soften the skin. Massage also helps the body release toxins and detoxify. Purifying your body through detox helps boost your immune system and leads to a healthier life. Using organic products will renew your skin to give you a healthy and youthful glow. All you need is a basic cleanser, toner, moisturiser, and broad-spectrum sunscreen to keep your skin in tip-top shape. It also helps maintain the health of your skin to diminish the signs of ageing, and they treat acne and breakouts. How to prepare and apply Face-mask? Clean your face thoroughly, preferably with a natural steam treatment, then make a mask by mixing 3 tablespoons honey with 1 tablespoon lemon juice, and massage it into the skin. Leave the mask on for approximately 15 minutes, then rinse it off and dab a rose water-soaked cotton wad on the skin to clean it completely. This gentle hydrating and cleaning mask will free your skin from all the toxins and stresses of everyday life. Your hair experiences a lot of strain every day. This is why it needs protection and loving care. There are many fresh ingredients in our kitchen that can do wonders in treating our hair and scalp! Just like you get a cleanup done for your face, a hair spa at home might also help enhance the quality of your hair by keeping it well-nourished and pampering it to an extent. Mix a cup full of Virgin Olive Oil, 5 teaspoons of honey and 10 drops of Herbal Oil. Apply generously and distribute evenly. Detangle with fingers. Leave for minimum of 3 minutes. Shampoo your hair twice using your Moisture Shampoo. Leave in for 20 minutes. Here’s a new way to enjoy quinoa: make mini quinoa breakfast quiches. In a medium bowl, combine 2 cups cooked quinoa, 2 eggs, 1 cup your favourite veggies (spinach or zucchini work well), 1 cup shredded cheese, and a sprinkle of salt and pepper. Portion it into a lightly greased mini muffin tin, and bake at 350 F for 15-20 minutes. These are easy to bring along and delicious to enjoy warm or cold. Smoothies are a perfect on-the-go snack any time of day. Blend 1 frozen banana, 2 tablespoons peanut butter, 1 cup almond milk, and a few ice cubes. Add a scoop of your favourite chocolate or vanilla protein for an extra protein boost. Divide the yogurt between 2 bowls. Dividing evenly, top with the grapes and granola. Just pick up a soothing body moisturizer, a hair treatment and a new facial product. You can choose one product to absolutely splurge on so it adds an extra level of decadence to the day. Then, scratch everything else out of your diary but beautifying. Categories: #HairCare, #Herbal, Beauty, Beauty DIY, Celebrate, Detox, Healthy Recipes, Natural Mantra, Organic Living, Personal Care, Products, Spa, Women's Day | Tags: #Quinoa, #Women, acne, Avocados, bath & body, beauty, essential oil, foot massage, gift sets, hair, healthy, honey, Natural cosmetics, Natural Mantra, Olive Oil, Organic, peanut butter, skin | Permalink. If you want to keep your skin healthy through the summer months, it’s important to remember to apply sunscreen lotion! While this is essential through the year, during the summer, the harsh sun is at its worst, and the harmful UVA and UVB rays do the most damage, leaving you with sallow skin and increasing your risk of suffering from skin cancer in the long run. While you won’t immediately be affected by sallow, damaged skin, being out in the sun too long will give you an unsightly tan that can often lead to sunburn and peeling skin. Remember not to stop using sunscreen lotion just because you’re already tanned. The lotions play a vital role in protecting your skin from further damage. While store-bought sunscreen lotions are an easy fix, they’re not your only options. Natural options are always best, and you can make your own sunscreen with a host of natural ingredients, which will not only be cost-effective, but will also ensure that you aren’t exposed to any of the toxic chemicals or additives present in most commercial lotions. Have you heard of sunscreen bars? They’re as effective as lotion and are also much more convenient to use if you’re wondering how to remove skin tan, as all you have to do is rub the bar over exposed skin. To make your own bar, melt a cup of coconut, a cup of beeswax and a cup of Shea, cocoa or mango butter in a jar that has been placed in a saucepan filled with water. Melt the ingredients together over a stove and then add in 2 tablespoons of non-nano zinc oxide (which protects skin against UVB and UVA rays) and a few drops of an essential oil. Let it cool, pour it into silicone moulds and refrigerate. Once the bars are set, you can store them in the fridge and use them as and when you need to! If you want to stick to lotion, a variety of natural ingredients including almond oil, olive oil and coconut oil have natural SPF properties that could help. You should also use non-nano zinc oxide – the non-nano variant doesn’t get absorbed in your skin and helps disperse sunlight. Mix ½ a cup of either almond oil or olive oil with ¼ cup of coconut oil and ¼ cup of beeswax in a thick, glass jar (mason jars will work best). Boil water in a saucepan, add 1 teaspoon of carrot seed oil (which protects your skin from sunlight) and place the jar in hot water, till the mixture has melted. Once it’s done, take it out and add in 2 tablespoons of non-nano zinc oxide. Store your homemade sunscreen lotion in a glass bottle and use it the same way you would use regular sunscreen! Categories: Beauty | Tags: #SkinCare, #SunBurn, #suncreen, beauty, skin | Permalink. The signs you shouldn’t ignore when it comes to eye care! Eye care: Don’t ignore the signs of vision loss! If you suddenly find it difficult to focus on objects, and feel like your vision is becoming a little blurry, don’t ignore it! This is one of the most common signs of vision problems, and could even be a sign that you’ve got health issues. The reason you shouldn’t ignore blurred vision is that its causes include serious conditions such as myopia (near-sightedness), presbyopia, dry eyes and cataracts. Other factors that can leave you with a blurry vision include migraines and sensitivity to light. Another way your eyes could be hinting at vision problems is if you suddenly see flashes of light. These are called floaters, and they usually obstruct your vision, leading to vision-threatening disorders. This condition is usually a result of posterior vitreous detachment – a natural effect of ageing – where the gel-like vitreous that is present behind your eye lens, loses contact with your retina. This may be one of the most common signs of an eye care problem, but it’s also one of the most commonly ignored! Frequent headaches are an early warning sign as they indicate eye strain. So instead of taking a paracetamol, read our eye health care tips below and visit an ophthalmologist if nothing changes. Can’t sleep because your eyes hurt when you close your eyes? Finding it hard to concentrate because there’s a throbbing sensation under your eyelids? Your eyes are screaming out for help! Any sort of eye fatigue is a sign that you’re getting vision problems. Prolonged periods of driving, reading or writing result in eye fatigue. You should also factor in the time you spend in front of a computer screen or your smartphone, as using either of the two for a long period of time causes eye fatigue. Do you have to squint when you wake up in the morning because your eyes aren’t ready for the sunlight? If you’ve suddenly started being uncomfortable around bright lights, your eyes are probably telling you that they need better care! Known as photophobia, this is a symptom of a number of conditions such as corneal abrasion and uveitis as well as a few non-eye related disorders such as meningitis. Photophobia can also occur if you wear badly-fitted contact lenses and if you’ve contracted an infection in your eyes. Now that you know how to determine whether you’re suffering from poor eye care, follow these tips for healthy eyes. One of the most important things to do is to eat food for eye health. The better your diet is, the healthier your eyes will be. Green leafy vegetables, oily fish such as salmon and tuna, protein and citrus fruits are beneficial. If you’re uncertain about what kind of foods to choose, remember to pick those that are rich in antioxidants and vitamins. Antioxidants are your body’s best defense against free radicals. Radicals are damaged cells born as a result of oxygen reacting with your body’s cells. These free radicals can attack your healthy body cells and damage their DNA, which can cause severe diseases, including eye disorders. Vitamins on the other hand, help to prevent cataracts, macular degeneration and dry eyes. Your lifestyle habits matter as well. Cut down on the time you spend looking at the computer screen and your smartphone in order to avoid tired eyes. Another trick you can follow is to reduce the brightness of your device and taking periodic breaks while you’re doing eye-intensive tasks such as reading. Make sure you wear sunglasses when you’re out in the sun – especially if you suffer from light sensitivity. Sunglasses will reduce your exposure to bright light and will also prevent momentary blurred vision, which takes place because of photophobia. Apart from your diet and lifestyle habits, resting your eyes is another crucial aspect when it comes to ensuring healthy eyes. One of the best ways to do is eye palming, a simple exercise that will relax your eye muscles and help fight fatigue. Rub your hands together till you feel some heat and then place your palms over both your eyes. Hold this position for a few seconds and then repeat – this will instantly refresh you as well as your eyes. Another great exercise involves focusing on distant objects and is especially helpful to help beat the effects of staring at electronic devices. Stand near a window and focus on an object that is around 50 feet away (looking at trees is a good idea, because the color green soothes your eyes) for around 10 seconds. Now look back into your room and focus on an object close by for the same duration of time. Repeat a few times to exercise the muscles in your eyes. Picking up eye care products can also go a long way in helping to keep your vision healthy. Vitamin and mineral supplements help make sure your eyes are well protected. Pick a multivitamin tablet such as HealthVit, which has antioxidants and vitamins that help with eye care. Another great product is vegetarian capsules from Unived, which contain micro-algae that contribute to eye care. Categories: Beauty | Tags: beauty, Eye Health, vitamins, wellness | Permalink. 5 QUICK TIPS TO BANISH STRETCH MARKS! So, you’ve piled on a few kilos, and you’ve suddenly noticed thick, red or purple lines running down your skin, fading to an awful white, silver streak. Whether you’ve just been sneaking in junk food or are pregnant, one thing is for sure – you’ve been struck by stretch marks! Embarrassing as they are, there’s no need to panic, because they’re easy to get rid of! Stretch marks appear where fat is stored, occurring when skin stretches, or when you lose weight too quickly. Use these natural remedies for to get rid of these unwanted stretch marks caused by sudden weight gain or weight loss! 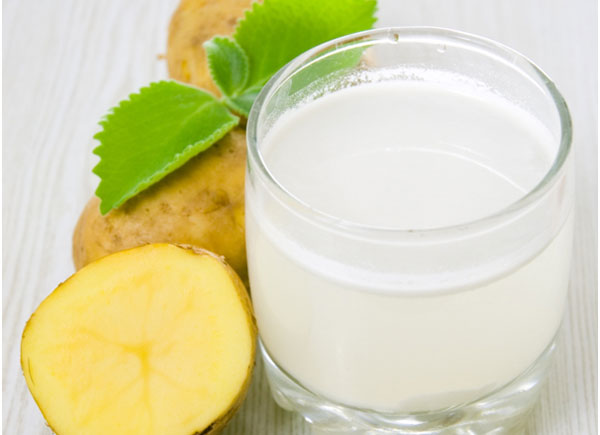 Keeping potatoes in your pocket to cure eczema is an old wives tale, but using potato juice to cure stretch marks isn’t! We definitely recommend using it to restore your skin cells. If you don’t have time to juice a potato, simply cut thick slices of the starchy food and rub the raw pieces on the affected area. It’s not a magic potion, but you will see visible changes in a few weeks! 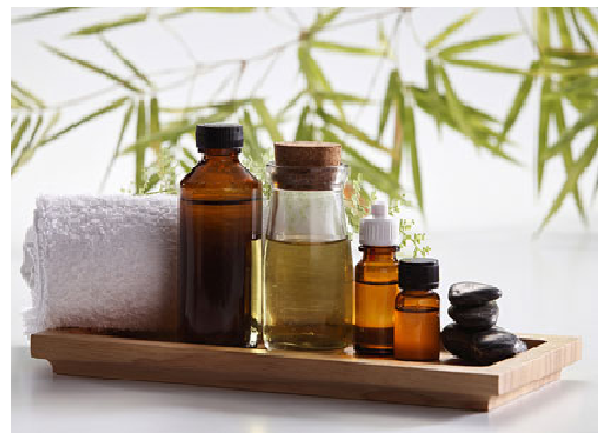 Using massage oil is extremely soothing, so, it’s an added bonus that they contain nutrients and anti-oxidants. Say goodbye to unattractive lines by massaging in warm olive or castor oil, letting them work their magic on your stretch marks! You can also use oil made from a combination of herbs such as khus, lemon extract, almond and olive oils. The oil from Purn Naturals and Kinshuk Adi Lightener are good options. If making a home remedy is too much trouble, several stretch marks removal creams will can come to the rescue. Try Ayurvedic formulas such as Bedag Lep, made with a formula of Ayurvedic herbs. Properties such as manjishtha, arjuna, dhania and lodh, help the cream to remove stretch marks by healing damaged tissues and eradicating marks and discolouration. Exfoliation is one of the best ways to arrest stretch marks. Use a soft bristle brush so as not to chaff your skin when you’re dry brushing, and use a loofah when you’re using cream. Exfoliation removes skin cells damaged by stretch marks, so you can say goodbye to the white lines and hello to smoother skin. 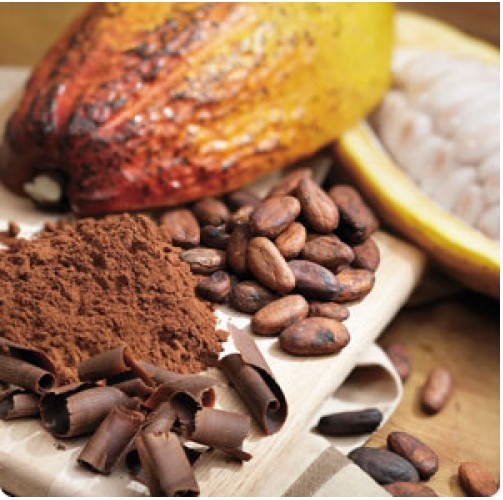 If reading about cocoa butter reminds you of chocolate, we’re not going to blame you! The edible vegetable fat is a boon for chocolate lovers, but it’s also really good at enhancing blood circulation. Applying a mixture of cocoa butter and essential oils can reduce the appearance of stretch marks dramatically and naturally. If you’re still struggling to get rid of the pesky marks and lines, switch up your diet, sneak in a little exercise and stay hydrated – a healthy lifestyle can work wonders! Categories: Beauty, Did You Know?, Natural Mantra | Tags: #SkinCare, #Stretch Marks, ayurvedic, beauty | Permalink.